The primary mission of Pitzer College’s Case Manager, is to assist students in achieving a balance of their overall well-being and academic success. Case management is committed to collaborating with Pitzer’s diverse community to ensure that all aspects of campus life- learning, working, and living are accessible to all students. Case management provides resources, advocacy, programming, collaboration, outreach and direct services to facilitate academic success, create inclusive environments, wellness and achieve access and equity. “My role at Pitzer College is to promote resilience, wellness, and academic success while using a student-centered and strengths based approach”. Stephanie Hannant joined the Pitzer community in August 2017 after spending the past four years on Skid Row serving as a clinical social worker for women experiencing homelessness, complex trauma and mental and physical health issues. Stephanie received her BA in psychology from Dominican University of California and her thesis Understanding Girls’ Circle As An Intervention on Perceived Social Support, Body Image, Self-Efficacy, Locus of Control and Self-Esteem was published in the journal, Adolescence. Stephanie spent the following seven years working in drop-in day centers, residential treatment facilities and high schools dealing with complex issues such as severe and persistent mental illness, chronic health issues, homelessness, poverty, trauma, substance misuse, and other vulnerable and under-served populations. 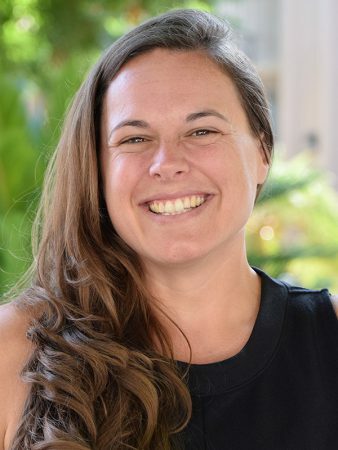 Stephanie decided to seek Higher Education and received a Master’s in Social Work from University of Southern California with an emphasis on mental health and systems of recovery. Stephanie received her license from the BBS in October 2017. Stephanie is passionate about self-care, wellness and mindfulness. Case management is available to support and consult with faculty, staff, parents and other individuals within the community to address the unique needs of students. Case Management supports students struggling with academic success, mental or physical health issues, relational and social struggles and other concerns. Get support from on-campus and community resources for mental health, mindfulness, resource instability, and self-care. Faculty, staff, friends, family and other students are often the first-responders to a student in distress. Encouraging and supporting the student to pursue assistance with the appropriate campus and community resources is vital.